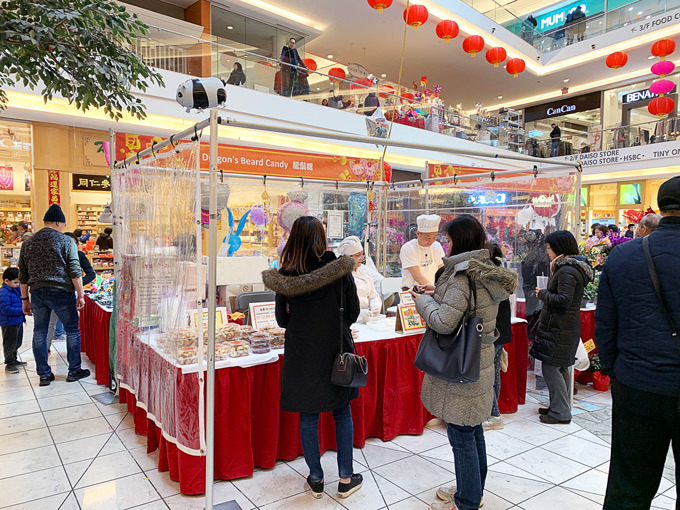 One of my favourite food stands to visit at Aberdeen Centre’s Lunar New Year Flower and Gift Fair is the Dragon’s Beard Candy Stand. Dragon’s Beard Candy is a sort of Chinese version of cotton candy but with a filling. 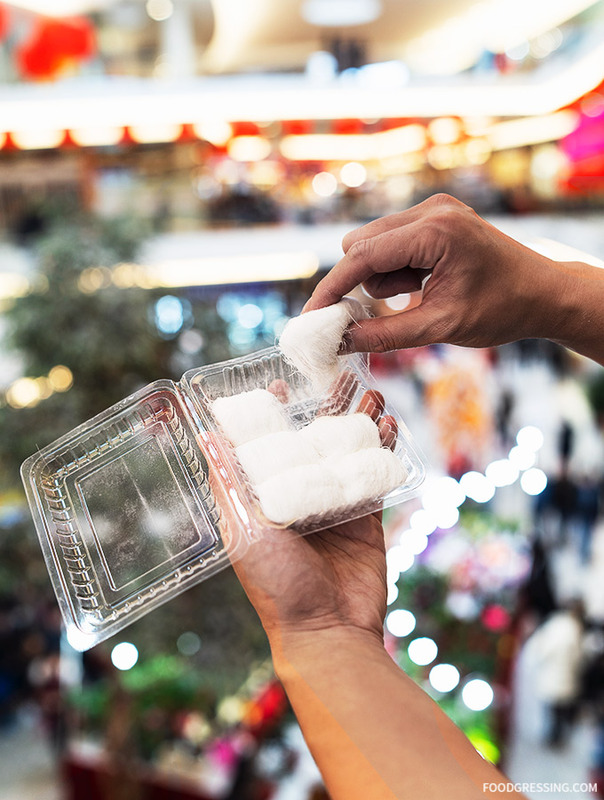 The candy’s white, thin strands are made of white sugar, maltose or corn syrup, and rice flour. The filling is typically made of peanuts, shredded coconut, and white sesame seeds. Dragon’s Beard Candy dates back to the Han Dynasty in China. Legend has it that an Imperial Court chef entertained the Emperor by showcasing the process of making the candy. This involved stretching a dough made of rice flour and sugar into small, thin strands. These strands resembled a dragon’s beard and were sticky enough to literally stick to your face easily. Hence, the candy was named Dragon’s Beard Candy. The candy was freshly packed with each order. Each box was priced at $5.50 each. 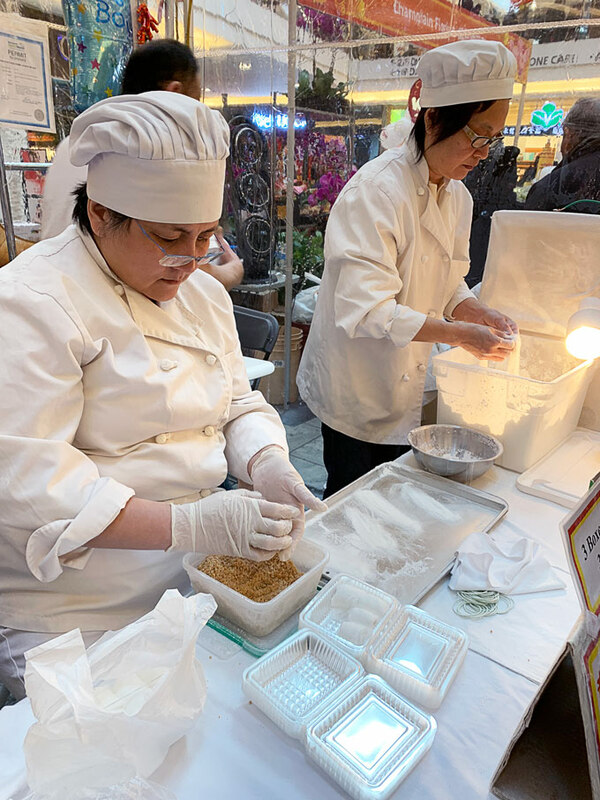 The next opportunity for me to enjoy some Dragon’s Beard Candy would be this summer at the Richmond Night Market. 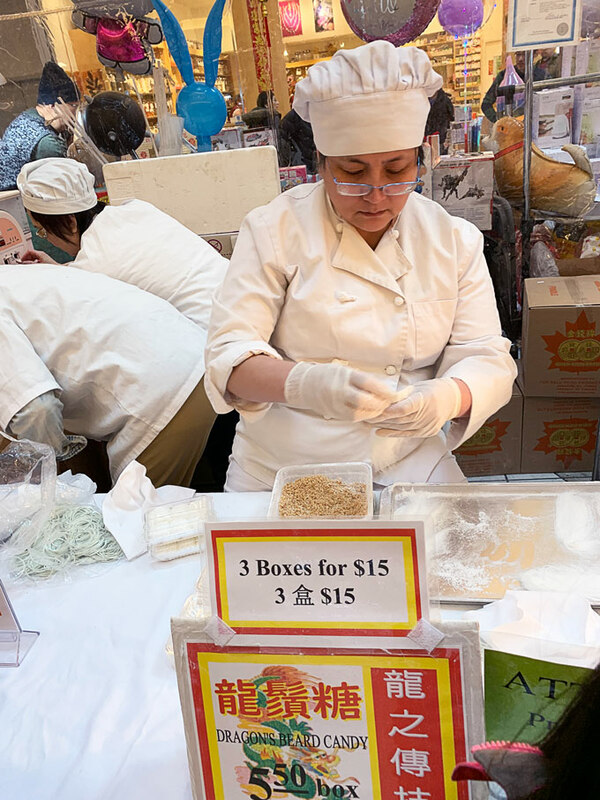 For other fun facts on tips on how to eat Dragon’s Beard Candy, visit my post here.